A large number of candidates participated in the Maharashtra Bachelor of Education Common Entrance Test. After giving the exam, they must be eagerly waiting for the results to come out at the earliest. They will be able to check online their marks and scores very soon. The Common Entrance Test of Bachelor of Education examination took place on June 12 this year. Earlier, the results of the same were scheduled to be announced on June 27. But, it got postponed due to several reasons. As per the latest updates, they are slated for Thursday as the declaration date. Aspirants will check the Maha CET 2016 results of BEd on its official web portal which is www.bed.mhpravesh.in along with www.mahacet.org. Thus, candidates can refer any of the two above mentioned sites to have their result in front of them. Candidates in large number applied to appear in the examination. So, test centres in a huge number were booked for the purpose. It was conducted by the Directorate of Higher Education Maharashtra. After qualifying the exam, the candidates will be able to pursue the desired stream of Bachelor of Eduction. Below are some of the simplest steps mentioned which will help you in checking the examination result with ease. 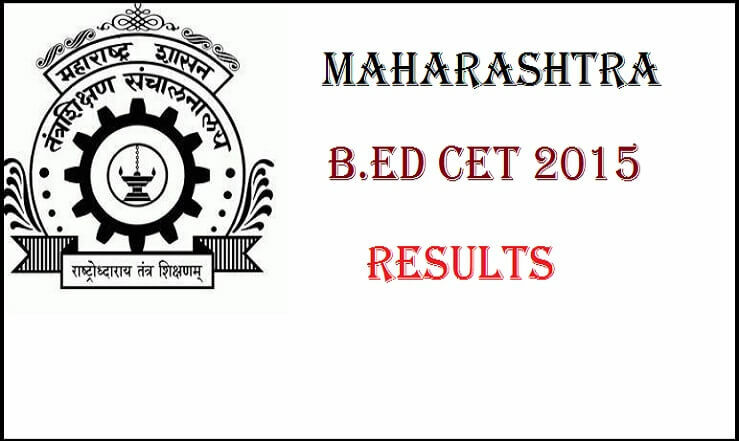 Then, look for the link stating B.Ed CET 2016 result. Click on it and enter the required asked details like date of birth. Click on the submit button and the results will appear on the screen in front of you. Save the result to your device and take a print out for your use. Stay tuned to TRT for latest updates regarding Maharashtra B.Ed admission process of this session 2016-17. The scorecard, merit list, cut off marks, toppers list, name wise, rank wise, counseling and much more will be updated here. The team at The Reporter Times wishes you all the very best for your future.